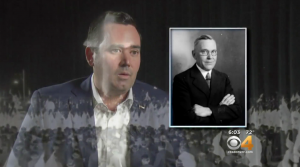 After months of silence, Colorado Treasurer and Republican candidate for governor Walker Stapleton is finally trying to address the news coverage of his family’s racist Klan legacy. This week Stapleton appeared on KNUS radio’s afternoon talk show, hosted by his friend Stephan Tubbs. The casual interview was a perfect venue to deliver his talking points cleanly. Instead, he made it worse – a lot worse. Tubbs was about to ask Stapleton for his response to all the national coverage of his great-grandfather’s leadership role in the KKK, but before he could finish, Stapleton interrupted. 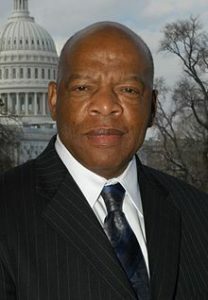 Instead of delivering his talking points, however, Stapleton attributed a false statement about deceased US Senator John McCain to civil rights icon Congressman John Lewis of Georgia. Then he said that [incorrect] statement was the one thing that made him “feel good” about the Arizona senator’s death. Stapleton inaccurately recounted a Rush Limbaugh segment about Rep. Lewis’ recent tweet praising Senator McCain. According to Stapleton, Limbaugh claimed Lewis’s praise made him a hypocrite because ten years’ earlier Lewis had called McCain a white nationalist. [Neither Lewis nor Limbaugh ever used that term.] Knowing that, Stapleton said, makes him “feel good about” McCain’s death because he’s getting attacked for his Klan legacy just like Rush Limbaugh says McCain was attacked by Congressman Lewis. I am deeply disturbed by the negative tone of the McCain-Palin campaign. What I am seeing reminds me too much of another destructive period in American history. Sen. McCain and Gov. Palin are sowing the seeds of hatred and division, and there is no need for this hostility in our political discourse. During another period, in the not too distant past, there was a governor of the state of Alabama named George Wallace who also became a presidential candidate. George Wallace never threw a bomb. He never fired a gun, but he created the climate and the conditions that encouraged vicious attacks against innocent Americans who were simply trying to exercise their constitutional rights. He is better off sticking to his mantra: "I can't talk to you now. I don't do extemporaneous very well. My people will get with you for a time to talk." PS: I'm surprise Stapleton's knows what "extemporaneous" means. He actually used it correctly in a sentence. As for using the word "extemporaneous" correctly. He might. Cambridge Dictionary lists "done or said without any preparation or thought." I'll leave it up to others to speculate how much preparation or thought Stapleton is actually exercising. And last but not least … I'm not precisely certain who he is referring to when he speaks: "And my final thought about John McCain if they’re going to disparage an American patriot and hero like John McCain there’s no ends to which they will go." So, I guess he'll be speaking specifically about *resident Trump's descriptions of John McCain sometime soon? Or the disparagement of the Republican candidates Kelli Ward and Joe Arpaio?